WASHINGTON D.C. – Whistleblowers in the USA are confused by the IRS’s decision to reject a reward to one of the most prominent whistleblowers in recent years. Early last week the US Internal Revenue Service rejected a claim for a monetary reward made by a former executive at Rabobank Joseph Insinga for providing the IRS with information regarding alleged tax evasion committed by his former company. The letter from the IRS explained that Joseph Insinga is not entitled to any payout as the information he provided did not lead to the collection of any extra taxes. Last year he took legal action against the IRS, claiming that the Service had not processed his application for a reward for several years, despite the fact that the original tips were provided in 2007. Under regulations enacted in 2006, whistleblowers who offer information to the IRS may be entitled to receive up to 30 percent of the taxes collected as a direct result of their help. Josph Insinga’s case has been closely followed by legal experts across the USA, who have claimed that so far the IRS has been uncooperative with whistleblowers and has often delayed processing of reward claims. 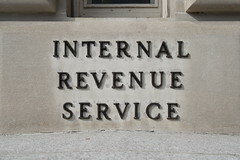 It is currently estimates that since the payout rules were introduced in 2006 only 10 rewards have been made to individuals who provided the IRS with information.